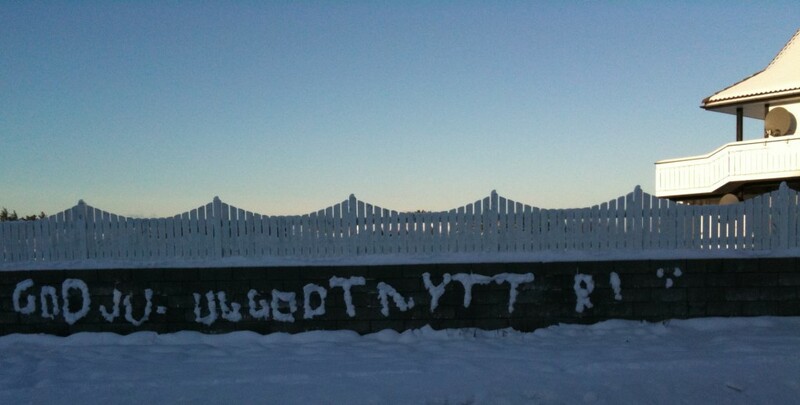 “Merry Christmas and happy new year” (in Norwegian) is what somebody have tried to write using snow. 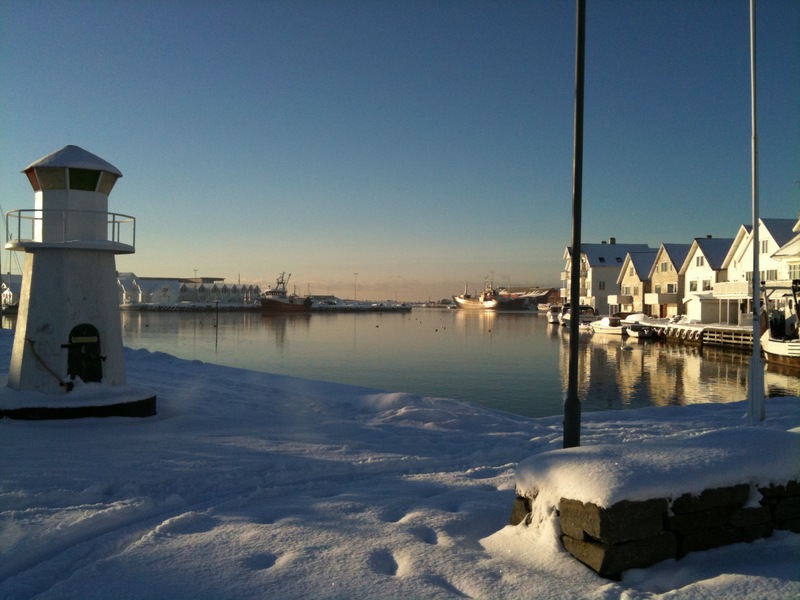 I’m celebrating Christmas in Karmøy, which is an island with 40 000 inhabitants, located somewhere between Stavanger and Bergen. There is houses everywhere, which was a little disappointing since I had expected it to be more rural. The small parts I’ve seen looks beautiful.